This was the first game of this Group Stage, against a team that has come through the previous two group stages (same with the other two teams in the group). This best of 3 was made up of Mirage, Cache and (if needed) Dust 2. 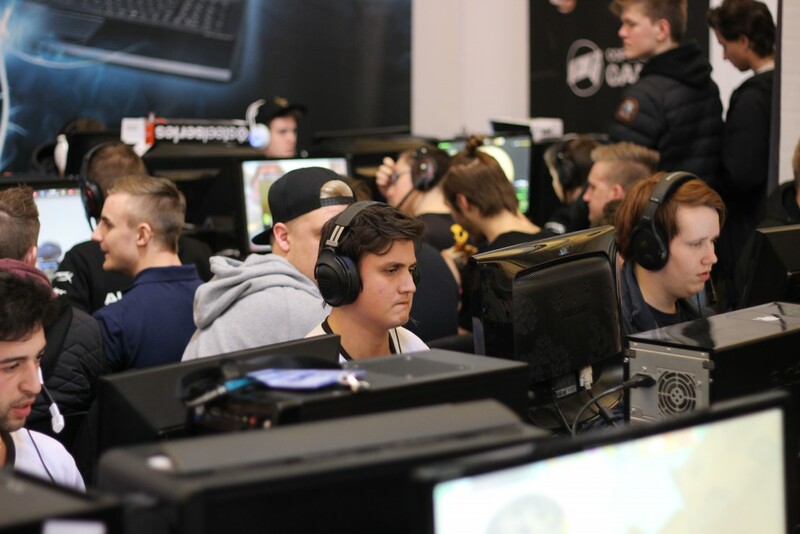 The first map (Mirage) appeared to be a fairly even one, with the first half going to INSHOCK, but it was only 7:8, as such the game could easily be reclaimed, which it was – Reason winning the second half 9:2 to take the first map 16:10. The second map (Cache) was a more straightforward game, as Reason took the first half 12:3 – giving them a lot of leeway in regards to playing the second half – which ended up being 4:5, but enough to win. The map ended 16:8, taking this BO3 game to a 2-0 victory. This was the second game of the group. The winner goes straight into the Winners Bracket of the play-offs. The loser, goes into a third game which will determine who would go to the Lower Bracket or the Upper Bracket. The maps were Cache, Cobblestone and (if need be) Mirage. The first half of map 1 was fairly even, this time Reason taking it 8:7. However, the second half was less fruitful, losing it 3:9, letting Gamers2 take the first map 11:16. The second game played more in our favor, taking the first half of Cobble 11:4, however it was an uphill struggle to get the winning rounds playing on the Terrorist side. It took 13 rounds to get the win in the end, making the final score 16:12 win. This brought the teams to the third and final, deciding game – Mirage. This… didn’t go so well. In terms of the first half, it was a heavy loss… 2:13 was what it was when they went into half-time. It only took 6 more rounds for the game to finish up, at 5:16, and for that, Reason go into the final lower bracket game, which was against INSHOCK, after they beat Badger eSport in their other game. After losing to Gamers2 in the second game, the team once again came up against INSHOCK, in the final BO3 before the playoffs. The winner of this game would go to the upper bracket of the playoffs, whereas the loser would go into the lower bracket. The maps were Inferno, Dust 2 and, if needed, Mirage. The first half of Mirage started very, very strong for Reason, taking it 12:3. However, it took the whole of the second half to get the final 4 rounds to win the game, ending at 16:14. The second map was a similar story, Reason putting out a strong first half, winning it 11:4, but INSHOCK came back to take the second half 1:12, making the game a haunting 12:16 loss. That put this deciding game to the third map, Mirage. This map, much like our Gamers2 game, didn’t go as well for us, losing the first half 6:9, and then the second 1:7, leaving the game as a 7:16, letting the BO3 series result to a 1-2 loss. This meant that sadly we came third in our group, entering them to the lower bracket of the final knockout round. Because we were in the lower bracket, we lost the security of the double elimination structure. This meant we were in a best of one situation with everything to play for. Stay tuned for the breakdown of our battle for survival which will be released later this week. Discuss these games in the comments, if you want to. Reason CSGO win QuickShot Arena #4!